Karl is an Abyssinian ground hornbill with a special challenge. His lower bill had broken off and made eating difficult. Karl did a great job of adapting and finding new ways to eat, but he wasn't getting all the food he needed. His zookeepers at the National Zoo and friends at the Smithsonian Institute wanted to help. 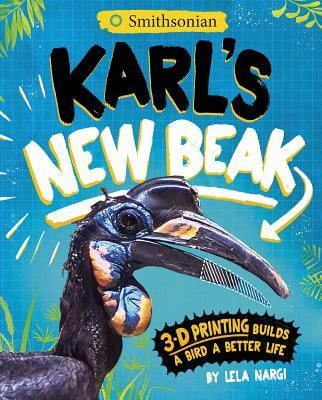 Could an old bird skeleton and a 3-D printer give Karl a new beak? Karl's new adventure was about to begin.